Happy second birthday to us! Let’s celebrate with a giveaway. Iambik is celebrating our second birthday this week – our infant days of spit-up and toothless drooling are behind us now, as we see how terrible we can be in our toddling twos. 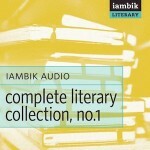 Is there any better way to celebrate this milestone than to give away audiobooks? No, we don’t think there is. 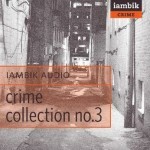 We’re offering any one of Iambik’s audiobook collections to the winner of our random drawing at the end of the month. Enter via the usual channels: Tweet about the giveaway or fan us on Facebook for an entry. 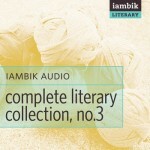 To really increase your chances, we want to know what you think of our audiobooks! Review any of our titles on Amazon, Audible, Goodreads or iTunes. Leave a link in the comments section on this post, and earn three entries into the giveaway. 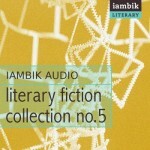 Feel free to leave your reviews on all these sites, and review as many Iambik titles you’ve listened to, and earn roughly eleventy hundred entries. (We’re word people; you do the math!). Good luck! You must use the Rafflecopter widget below for your entries to count. Email Miette with any issues. 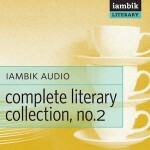 Love your audiobooks Happy Birthday! Pingback: Iambik’s second birthday & competition « To Posterity — and Beyond! - A book of a thousand pages starts with a single word.